Ardnahoe Distillery, on the island’s north-east coast, has been built with a £12 million investment from family firm Hunter Laing & Company. In keeping with Islay whisky style, Ardnahoe is producing a peated spirit for maturation in ex-American bourbon barrels and former Spanish sherry casks. 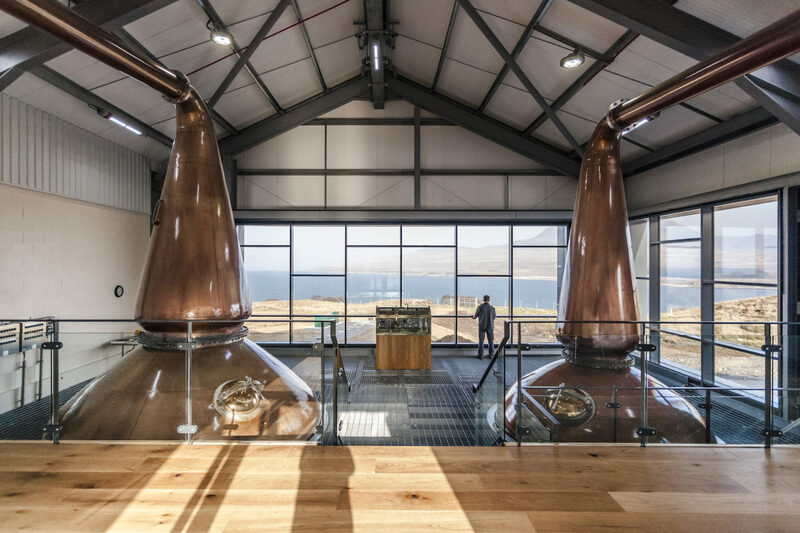 Bosses said the distillery combines modern building design and technology with traditional distilling practices that include wooden washbacks and Scottish-made lamp glass stills. The distillery site has spectacular views of the Sound of Islay and the Paps of Jura, as well as Mull and Colonsay. Andrew Laing, export director, said: “We wanted the visitor experience to be at the heart of Ardnahoe.